In addition to my day job of being an Enterprise Architect at an Energy company in Calgary, I also write for InfoQ. Writing for InfoQ allows me to explore many areas of Cloud and engage with many thought leaders in the business. Recently, I had the opportunity to host a Virtual Panel on Integration Platform as a Service (iPaaS). Dan Diephouse – Director of Product Management at MuleSoft where he is part of the team that launched MuleSoft’s iPaaS offering: CloudHub. Darren Cunningham – Vice President of Marketing at SnapLogic where he focuses on product management and outbound product marketing. 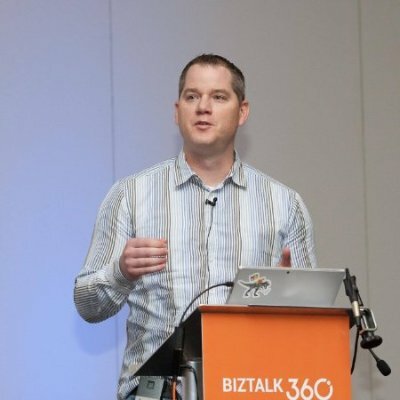 Jim Harrer – Principal Group Program Manager in the Cloud & Enterprise division, at Microsoft, where his team is responsible for Program Management for BizTalk Server and Microsoft’s iPaaS offering: Azure Logic Apps. Overall, I was very happy with the outcome of the article. I think the panelists offered some great insight into the current state of iPaaS and where this paradigm is headed. You can read the entire article here and feel free to add comments in the article’s comment section.